A leaning tower is a tower which, either intentionally, due to errors in design, construction or to subsequent external influence, does not stand perpendicular to the ground. This list is about these unusual buildings. 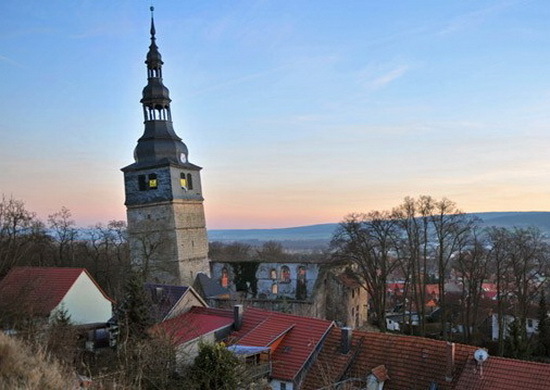 The Two Towers, both of them leaning, are the symbol of the city. The taller one is called the Asinelli while the smaller but more leaning tower is called the Garisenda. 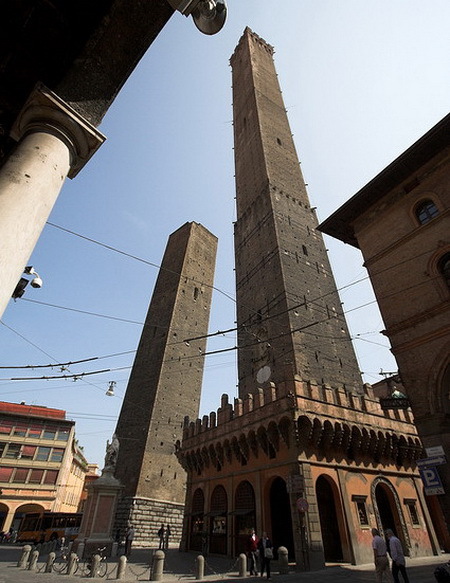 The taller Asinelli Tower is built in the 10th century. It is 97 m (318 ft) high with a 2,23 meter (7,3 ft) inclination The base was modified in 1488 to house guards. The smaller is Garisenda Tower, a contemporary of its neighbor. Its strong inclination (3,22 m or 10,6 ft) is striking, caused by an earlier greater settling of the land. 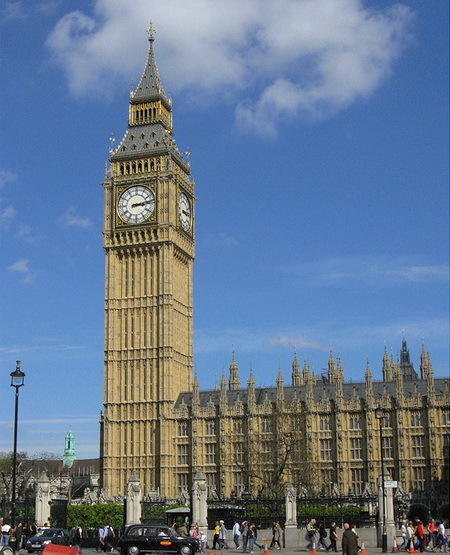 The British Parliament's Clock Tower (more commonly known as Big Ben) is leaning north-west by 0.26 degrees, or 17 inches (43.5cm), according to documents that were recently made public. The level of the tilt has increased to 0.9 millimeters a year since 2003, and it seems that underground developments including a parking lot and an extension of the London Underground have caused the problem. The Leaning Tower of Suurhusen is a late medieval steeple in Suurhusen, a village in the East Frisian region of northwestern Germany. According to the Guinness World Records it was the most tilted tower in the world, though in 2010 the newly erected Capital Gate tower in Abu Dhabi claimed this record. The Suurhusen steeple remains the world's most leaning tower that is unintentionally tilted, beating the world-famous Leaning Tower of Pisa by 1.22 degrees. The central German spa town of Bad Frankenhausen is home to a tower more crooked than Pisa's. The sinking phenomenon was first observed in 1650, and has been progressing steadily ever since. The tower is perched on a hillside on the edge of town and looks like it could keel over in a stiff breeze. Locals insist the structure is sturdy and say no one has abandoned the row of tidy homes sitting about 75 feet (23 m) from the tower's base. At least not yet. Engineers have noticed that the speed with which the tower is falling has picked up recently, with the spire now moving 2.4 inches (6 cm) a year. At that rate, it could reach a tipping point in the next decade or so. Local and state government officials have agreed to spend $1.5 million to try to stabilize the tower. The Leaning Tower was supposed to stand straight and plumb, an imperious monument to the trading power of 12th century Pisa. Built on soft clay, however, the tower began to list only a few years after construction began. Upon completion in 1350, the tower leaned about four and half feet, but as time passed, the angle of the 16,000-ton tower became more precarious. By 1990, the tower leaned about 13 feet (4 m) off kilter, and nearly two million pounds of lead ingots had to be placed on one of its sides to prevent its collapse. But the nearest the tower has been to destruction had nothing to do with its famed tilt. Allied forces ordered an American sergeant to blow it up during World War II when they thought the Germans were using it as an observation post. Only the reticence of the 23-year-old American saved the tower. 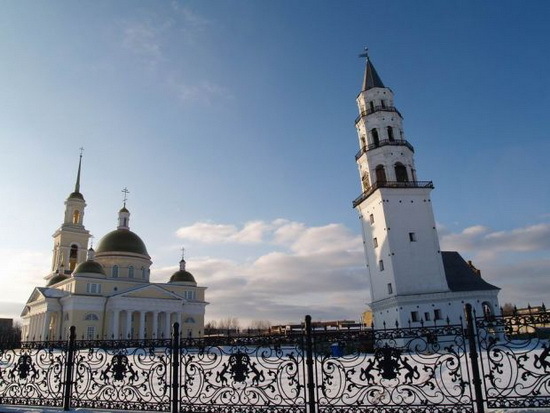 The Leaning Tower of Nevyansk is leaning tower situated in the center of Nevyansk and the most well-known building in the Middle Urals. It was funded by Peter the Great and built in the first half of 18th century by a famous Russian manufacturer Akinfiy Demidov. The height of the tower is 57.5 m (189 ft) from the ground. According to recent measurements, the deviation of the top part of the tower from a right angle is currently 2,20 m (7,2 ft). The exact date of the tower's building is unknown, different historical sources mention dates between 1721 and 1745. 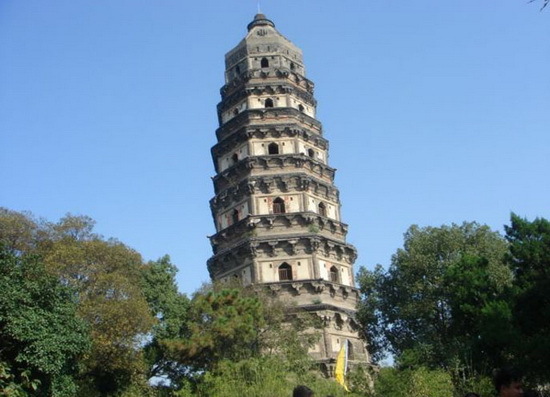 Tiger Hill Pagoda or Huqiu Tower is a Chinese pagoda situated at Changmen in Suzhou City, Jiangsu Province. The tower was built in the later period of the Five Dynasties (907-960 CE), completed by the second year of the Song Dynasty. The tower rises to a height of 47 m (154 ft). It is a seven-story octagonal building built with blue bricks. In more than a thousand years the tower has gradually slanted due to forces of nature. Now the top and bottom of the tower vary by 2.32 meters (7,6 ft). The entire structure weighs some 7,000,000 kilograms (15,000,000 lb), supported by internal brick columns. 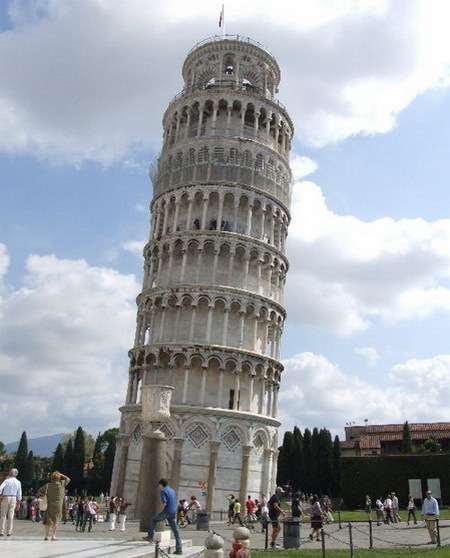 However, the tower leans roughly 3 degrees due to the cracking of two supporting columns. 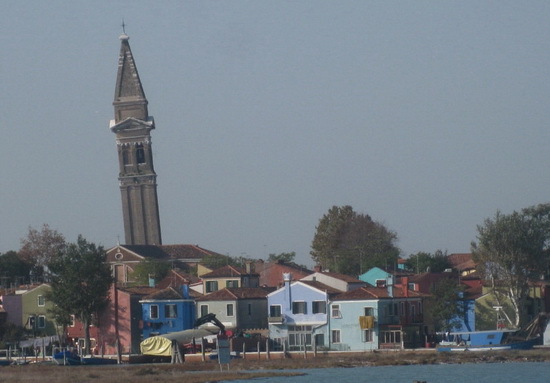 Tower of Burano or Church of Saint Martino is situated on the Venetian island Burano (it could more correctly be called an archipelago of four islands linked by bridges). Dating back to 15th century, the church boasts a leaning campanile (bell tower), which locals lovingly refer to as the "drunken" tower. The Leaning Tower is undoubtedly the most attractive and famous tower in Toruń. This tower was a typical fortified tower, built as a part of the city walls at the turn of the 14th century clearly as a straight tower. Initially, despite its four-wall foundation, it did not have the front wall, which facilitated hoisting ammunition onto the higher floors. This popular tourist attraction leant as early as the Middle Ages presumably due to the instability of the ground and has been stable ever since. The tilt of the 15-metre (49.2 feet) tower is currently 146 cm (4.8 feet) off the perpendicular on the side of the street. 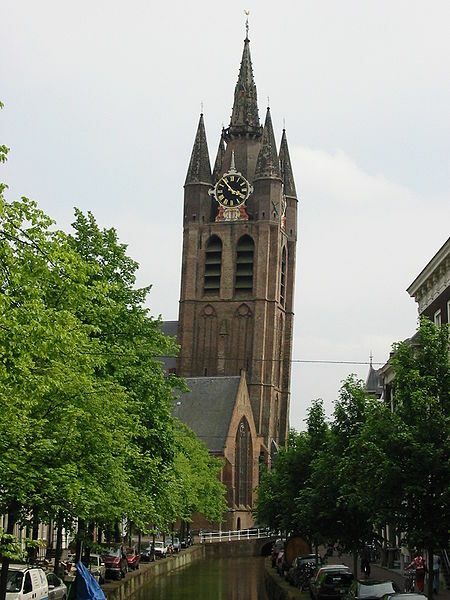 The Oude Kerk (Old Church), nicknamed Oude Jan ("Old John"), is a Gothic Protestant church in the old city center of Delft, the Netherlands. 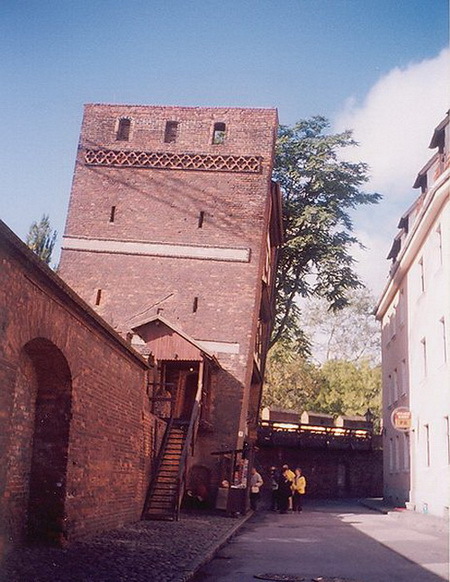 Its most recognizable feature is a 75-meter-high (246 ft) brick tower that leans about two meters from the vertical. 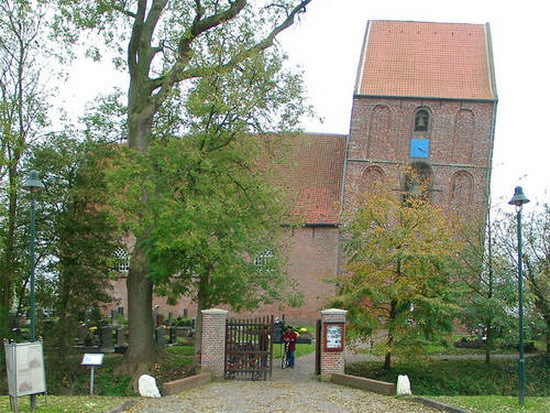 Oude Kerk is the resting place of famed Dutch artist Johannes Vermeer. 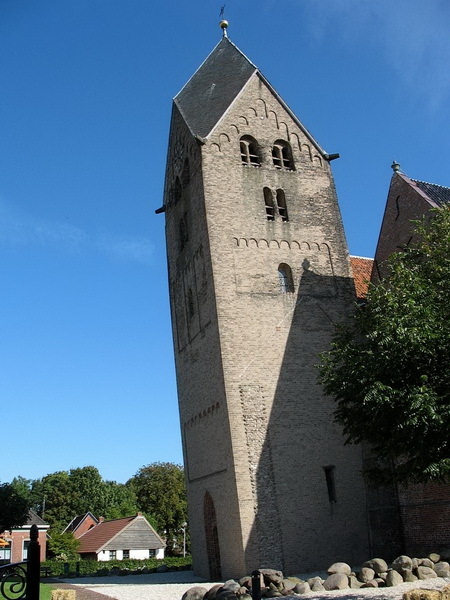 Leaning Tower of Bedum – the leaning church tower of Walfridus in the northern Dutch town of Bedum, also leaning more than the Tower of Pisa. At a 55.86m (183 ft), Pisa's tower leans about 4m (13 ft), while Bedum's tower leans 2.61m (8,6 ft) on its height of 35.7m (117 ft). If both towers were the same height, Bedum would have a greater tilt of 6cm (2,4 inches).